Washington, Feb 8 (IANS) John Dingell, the longest serving member of the US Congress on record and a politician whose voice loomed large even after he left Capitol Hill, has died. He was 92. "It is with a heavy heart that we announce the passing of John David Dingell, Jr., former Michigan Congressman and longest-serving member of the US Congress," CNN quoted the office of his wife, Representative Debbie Dingell, as saying in a statement on Thursday. "He will be remembered for his decades of public service to the people of Southeast Michigan, his razor sharp wit and a lifetime of dedication to improving the lives of all who walk this earth," the statement added. The Michigan Democrat in more recent years, came to be known for his witty Twitter account and criticism of President Donald Trump’s administration. "John Dingell was a giant legislator on behalf of the people," said House Majority Leader Steny Hoyer. He described Dingell as a "tireless advocate" who fought for clean air, clean water, consumer protections and financial regulations throughout his nearly six decades in Congress. According to the House historian’s office, he served with 11 Presidents and cast 28,551 votes. Of that time, he served on the Energy and Commerce Committee for nearly 58 years, making Dingell the longest serving member on any congressional committee. He also served as chairman of the committee for more than 15 years. Dingell became known for his commentary on current events through snarky and sometimes hard-hitting tweets that often went viral.  He built a following of more than 250,000 users, dwarfing that of many current members of Congress. John David Dingell Jr. was born July 8, 1926 in Colorado Springs, Colorado. He was exposed to politics at an early age when his father was elected to the House in 1932, reports CNN. 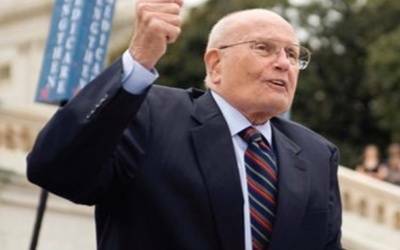 When he was 18, Dingell enlisted into the US Army, almost three years after he watched former President Theodore Roosevelt deliver his famous "Day of Infamy" address to Congress. After his father died while in office 1955, Dingell was elected to the seat in a special election at the age of 29. He was then re-elected to 29 more congressional sessions, until he decided not to run for re-election in 2014. His wife, Debbie, succeeded him and remains in the seat today.